Southern Rock Climbing Centre is an exciting and accessible way to explore the challenges of climbing. It provides an intense experience that combines exercise with mental focus and problem-solving skills at a place to meet like-minded, active people. Southern Rock is the only climbing venue in the Durban metropole. Here young and old can find the best advice and quality climbing gear to help them to experience climbing, learn the ropes and train to take their climbing to the next level. Friendly and experienced staff will guide you through our facility, helping to maximise your experience in a safe environment. From absolute beginners to experts trying to push their limits, there are routes to suit everyone, and training courses that match your level of experience. Print and complete our waiver before you arrive in order to speed up your admission process. Boasting a range of angles, shapes and dimensions our walls are designed with passion and detail to allow for a wide range of variety in our routes. From vertical to overhanging our wave, prow and 30-degree walls will keep you entertained. South Africa's only Treadwall (it’s a vertical treadmill!) will keep you climbing for as long as you can hold on. Let the kids climb the wall (so you don’t have to)! Hire the venue for a party full of fun along with climbing-related games and activities. Two imported auto-belay systems allow you to climb the longer routes in our roped section in complete safety – and without the need for a belayer. 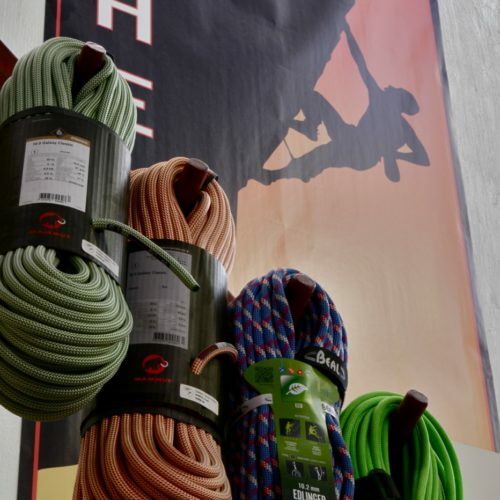 The Gun Room has all the specialised training tools you need to take your climbing strength to the next level. The Southern Rock Gear Store stocks regular and specialised outdoor and climbing gear, clothing and training aids. Our staff will assist you to find exactly what you need. The Starter Course will teach you the basics – how to use standard climbing gear as well as essential rope skills (such as tying in and belaying). We will teach you climbing techniques and introduce you to the challenges of problem solving and roped climbing. At Southern Rock, we believe that we have the right ingredients to get any climber to achieve their climbing goals in a supervised, fun and cost effective manner. To achieve this we have created the Southern Rock Master Class, which aims to deliver high quality and affordable coaching to all members of the KZN climbing community. Our Master Class program draws on our expertise, passion and history in climbing, enabling us to provide a personalized and monitored program for each participant. Whether you are wanting to learn basic techniques to get you started or train your school team to produce 2020 Olympians, Southern Rock has a team of experienced coaches ready to put together a programme for your needs. We cater for private coaching and groups, at your facility or ours. If you are wanting to take your climbing to the next level give us a call or pop by to chat.